You know those books that you love so much that you want to stand in the bookstore and give anyone that even thinks about going into the YA section a copy of the book? 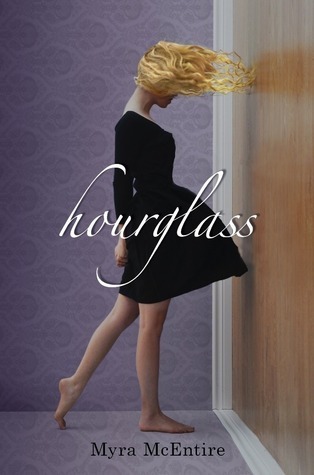 That's how much I LOVED Hourglass. I loved everything about this book- the cover, the setting, the plot, and the characters. Oh, the characters! How I loved them- the sassy, fluent in sarcasm Emerson, the swoon worthy, compassionate, electrifying Michael (I wouldn't mind sharing a few zingers with him- wowza!) and the lovely, lovely Kaleb (Seriously? Violet blue eyes, black hair, tattoos and a swimmer's body...*thud*.) I truly loved or hated every character in this book.